A leaked report from Mexico’s intelligence service CISEN revealed the ruthless Cartel Jalisco Nueva Generacion (CJNG) has turned to the recruitment of former terrorists from Colombia and their use of explosives and tactics, Mexico’s Excelsior reported. The terrorist turned cartel mercenaries come from the far left terrorist organization once known as Revolutionary Armed Forces of Colombia or FARC. Since FARC and the Colombian government reached a cease fire, former guerrilla fighters made their way to Mexico and turned into cartel mercenaries where criminal organizations are actively seeking trained enforcers. With the capture and extradition of Sinaloa Cartel top boss Joaquin “El Chapo” Guzman Loera, his criminal empire fell into disarray through infighting and the attack of rival cartels. The power vacuum opened the door for CJNG to move in as one of the top criminal organizations. Once known as the Mata Zetas or Zeta Killers, the CJNG began as an offshoot of the Sinaloa Cartel. The group eventually broke off and expanded into the worldwide market, Breitbart Texas reported. The once unknown CJNG has earned a reputation for being one of the most violent criminal organizations in Mexico. The cartel faced off against military forces, killing dozens of soldiers and police officers as well as shooting down helicopters. The criminal organization has also resorted to strapping explosives on their victims and setting them off on videotaped warnings to their rivals. 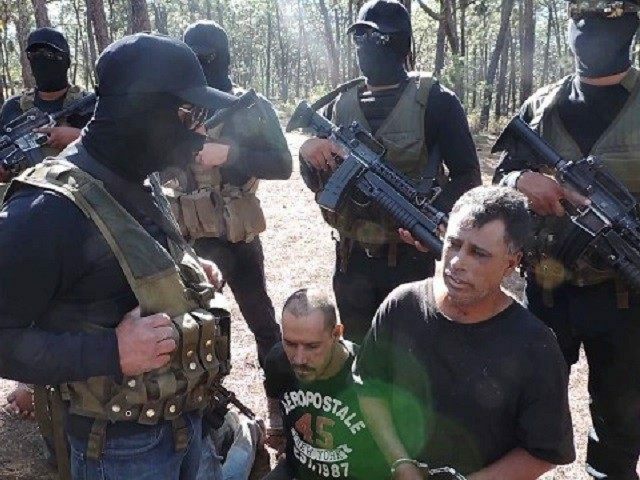 By working the European and Asian markets, the CJNG initially managed to keep a lower profile than Sinaloa which has drawn most the attention from the U.S. Drug Enforcement Administration over their dominance of the heroin and opioid distribution and the ensuing overdose epidemic that has swept the nation, Breitbart Texas reported.